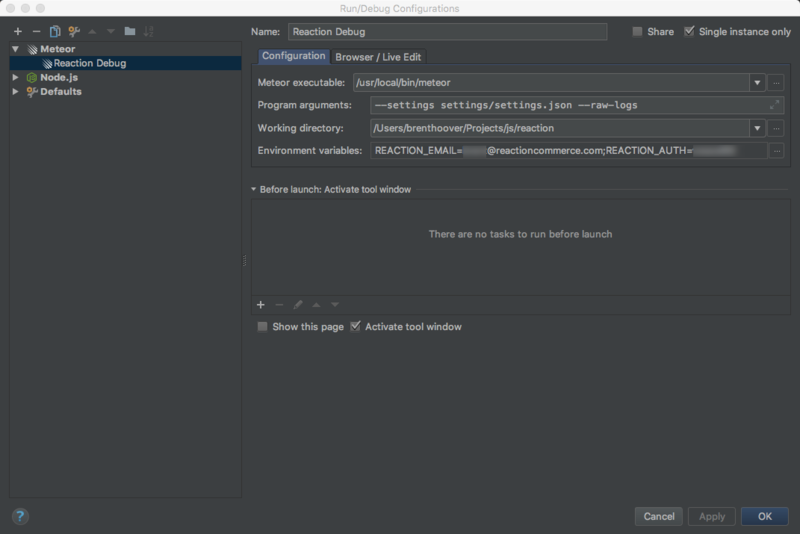 You can debug server-side code, both Meteor and Node API code, using Chrome DevTools and within integrated developer environments like Visual Studio Code (VS Code), a free code editor and WebStorm by JetBrains. Before we get started, make sure you are running Reaction 2.0. Now you're ready to run reaction in inspect mode. Using inspect-brk will break before any user code starts, while inspect will break at a specified point. Learn more about inspect and inspect-brk from the Node documentation. After that, the application will run, just like running npm dev.